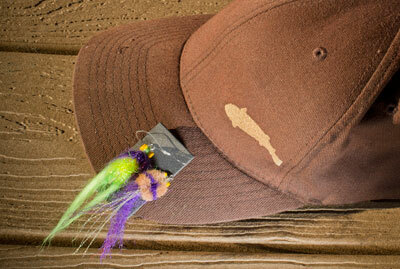 If you’re like me, when you fish you’re likely to use your hat as a flybox throughout the day. It’s quite simply the quickest solution for fly storage much of the time. However ripping hooks in and out of the material isn’t exactly increasing your hat’s longevity. The FishFighter fly clip is an easy solution to keep flies from mangling your favorite lid. We just tried one out in the marshes of Louisiana, and while it won’t hold a ton of big flies, it’ll certainly hold a number of trout bugs and may save the brim of your hat from an early death. For more information see The Freshwater Fly.